I want these side plates!! I don’t know if you know!! I don’t know if you care!! I don’t care if you know!! I don’t care if you care!! I’ve been practicing McMahonism for 29 years. My son is 9 and is keeping me busy with his activities and interests. 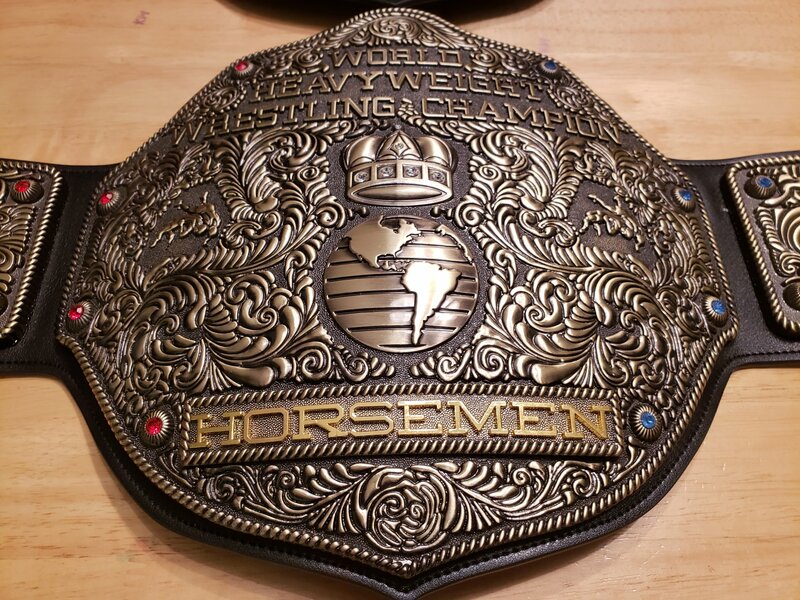 The Championship Title Belts are not as attractive as they once were. The storylines are not as interesting as they once were. The video games, and subsequent DLC, are not worth it to me anymore, as both a gamer and collector. 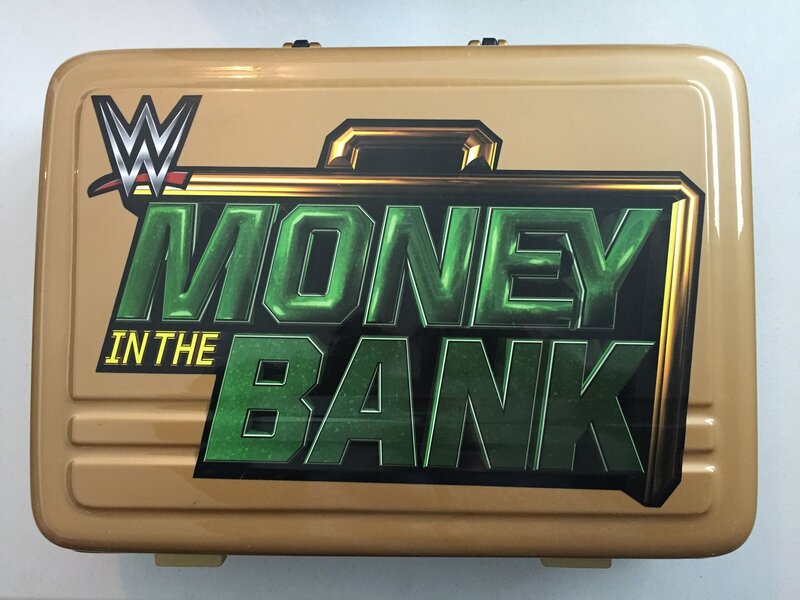 Today’s WWE, in general, just isn’t as good as it once was. 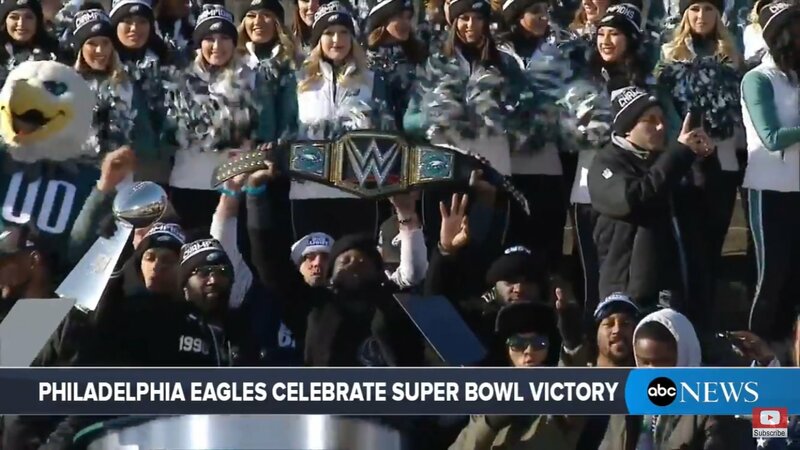 Philadelphia Sports is only starting to dominate the World again. A combination of some of the above. Whatever it is, I’m just not into it anymore. 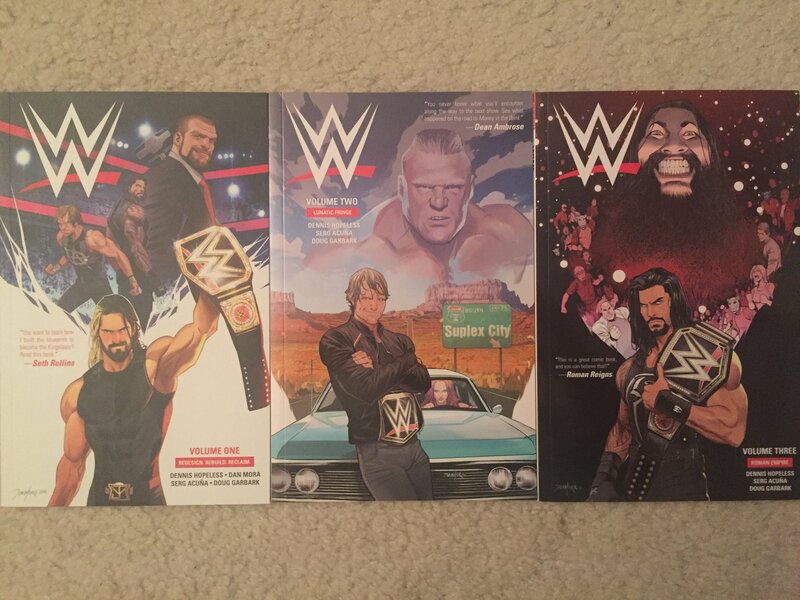 I haven’t seen Raw or Smackdown for a quite some time now. I haven’t watched a full episode of either in a very long time. I’m usually all hyped up from January to April, but not this year. The thrill, for me, is gone. As a collector, I always looked forward to new Championship Title Belts coming out for me to buy. 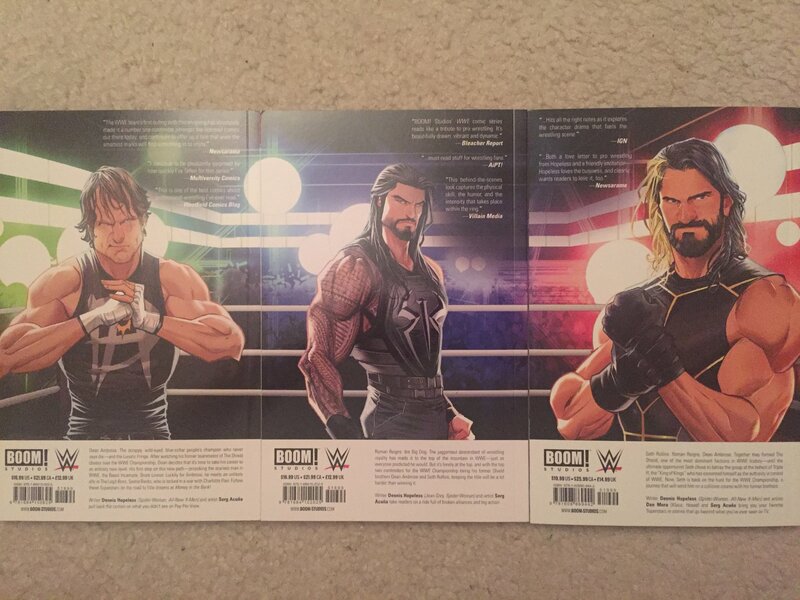 Now, they just all look the same to me. 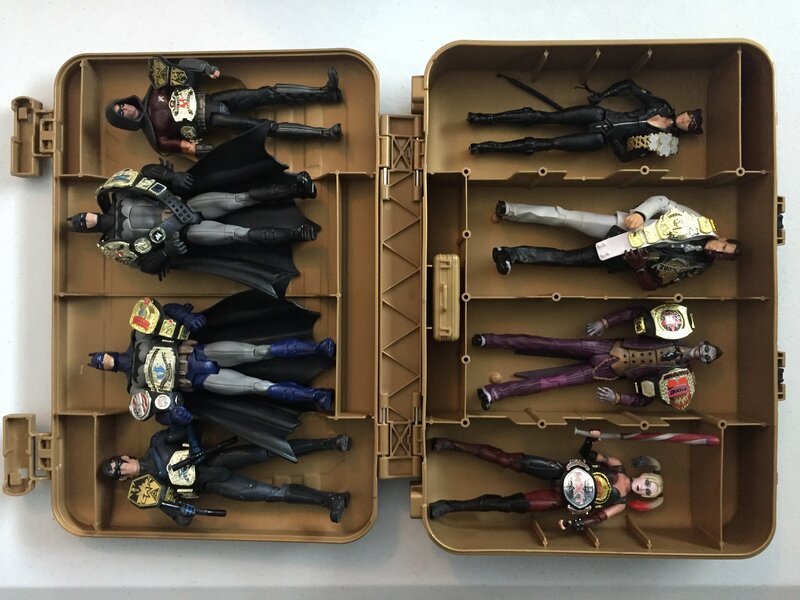 I’m pretty much buying repainted / repurposed $#!+. It’s pretty bad when the only things I have to look forward to are actually making me look backwards to “Flashbacks” / “Classics”. I’ve canceled my WWE Network subscription right after the Survivor Series 2017, with the plan of getting it back for WrestleMania. 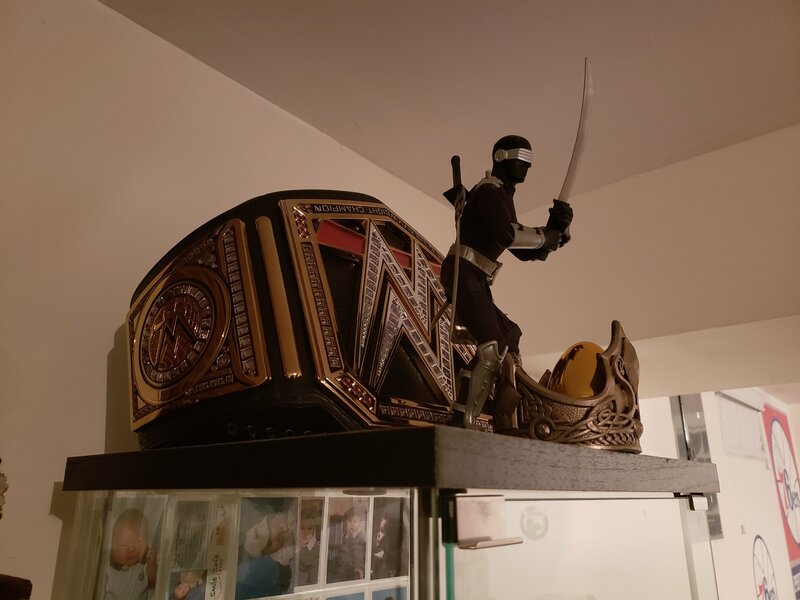 I used to make it a point to be home for WrestleMania, and dedicate an entire weekend for it. This year, a friend invited me and my Son over, and it looks like that’s where I’ll be on Sunday. 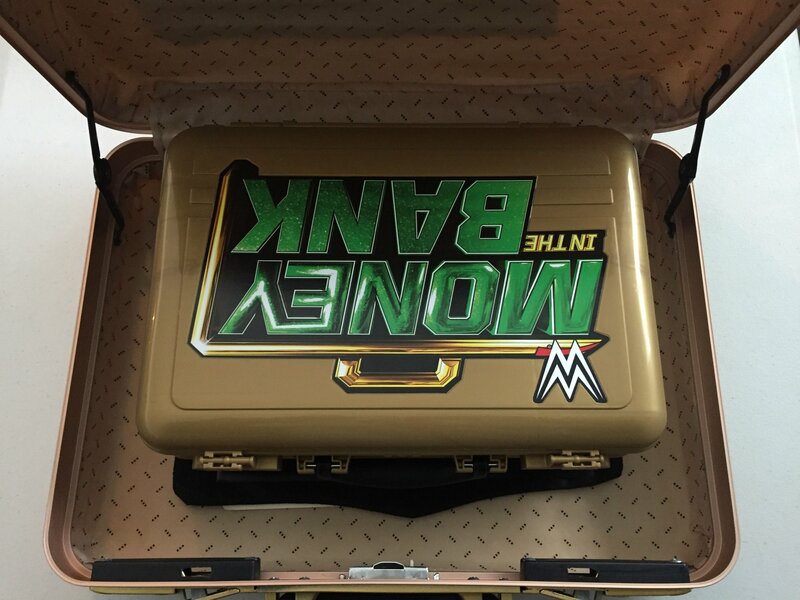 Whatever happens at WrestleMania this Sunday, I feel I’m no longer the SMark I always used to call myself. I can now just consider myself a “casual fan”. 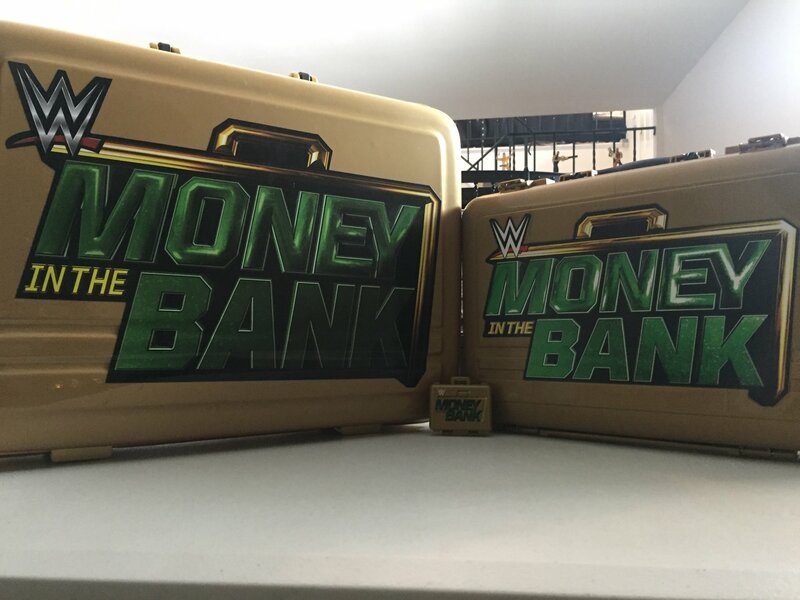 Money In The Bank briefcases. 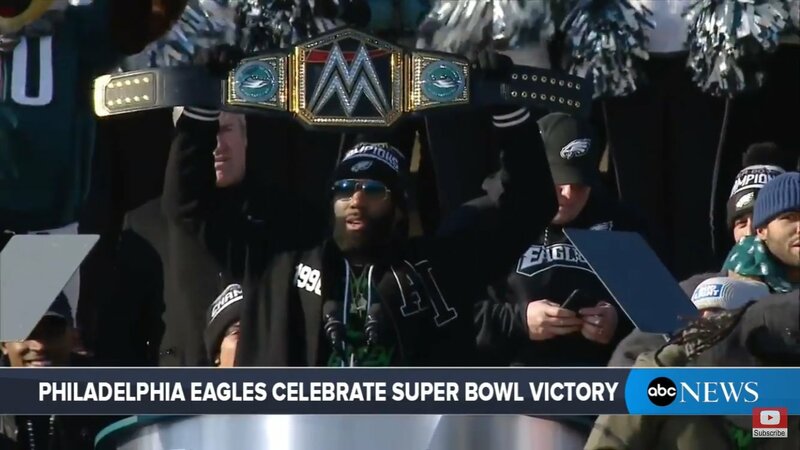 New Undisputed WWF / WCW World Champion!! He who laughs last, laughs loudest!! 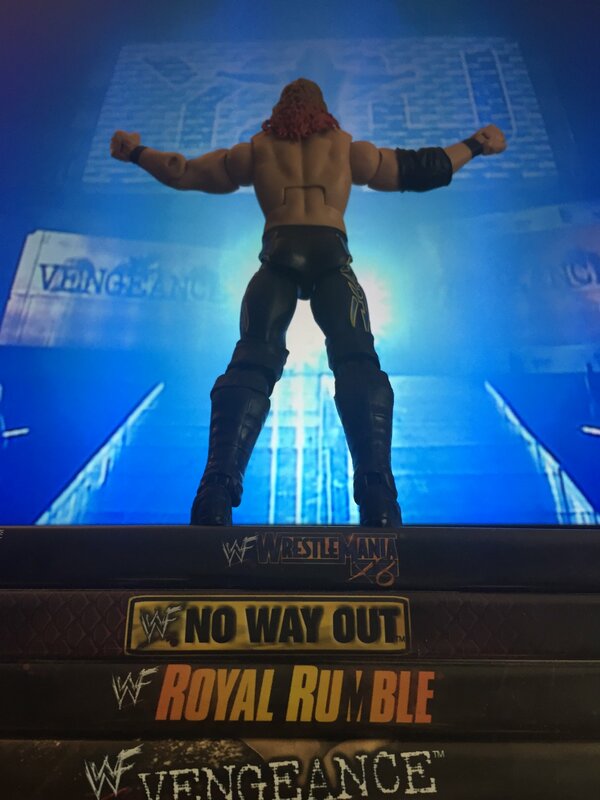 Vengeance 2001 to WrestleMania X8. 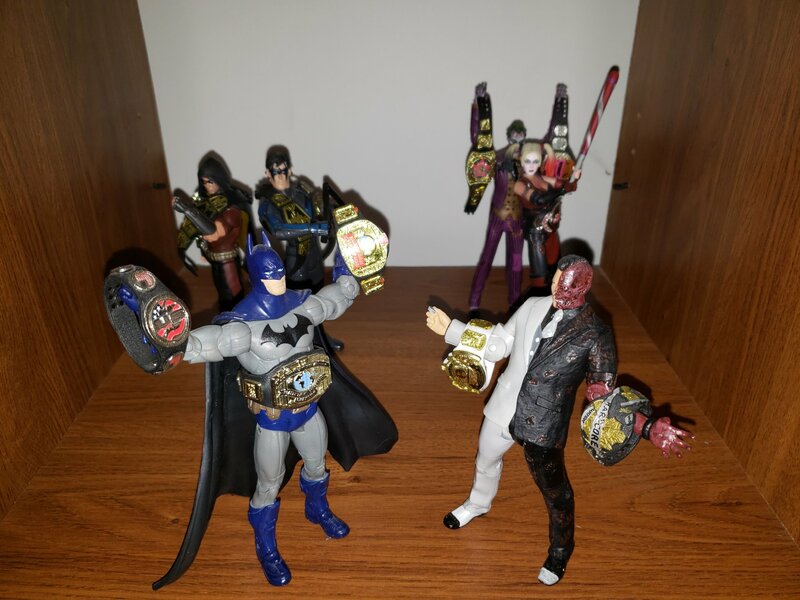 Chris vs. Jericho for the Undisputed Unified Federation / UUF (Double U F) Championship Titles. 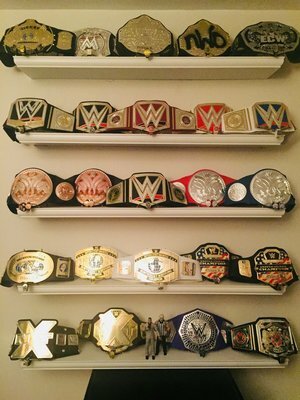 Every WWF/E Championship Title Belt Chris Jericho has ever held. 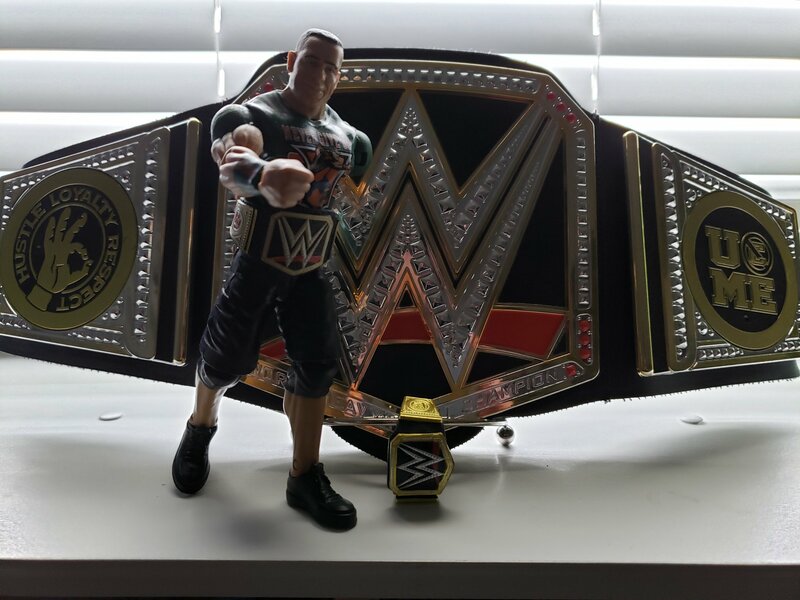 I also collect the action figures sized Championship Title Belts. Nice!! 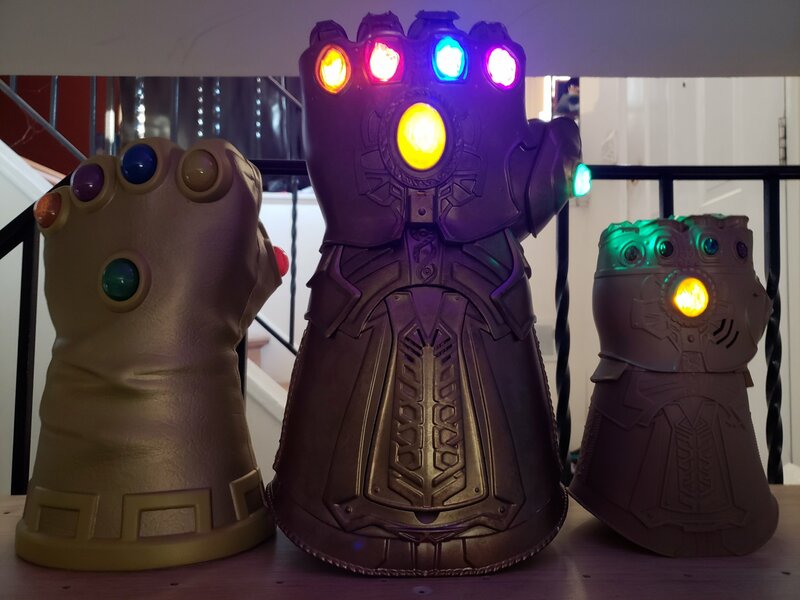 Which ones do you have!? 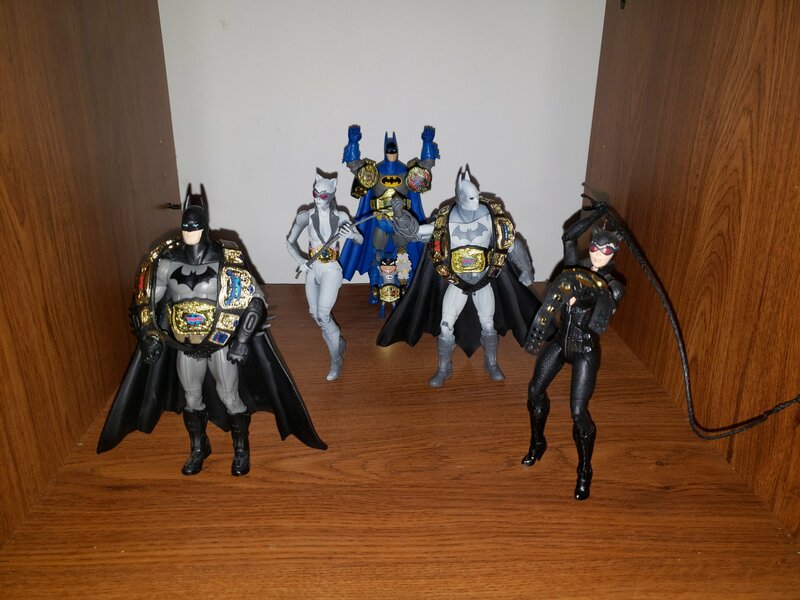 I also collect figures and figures with belts. 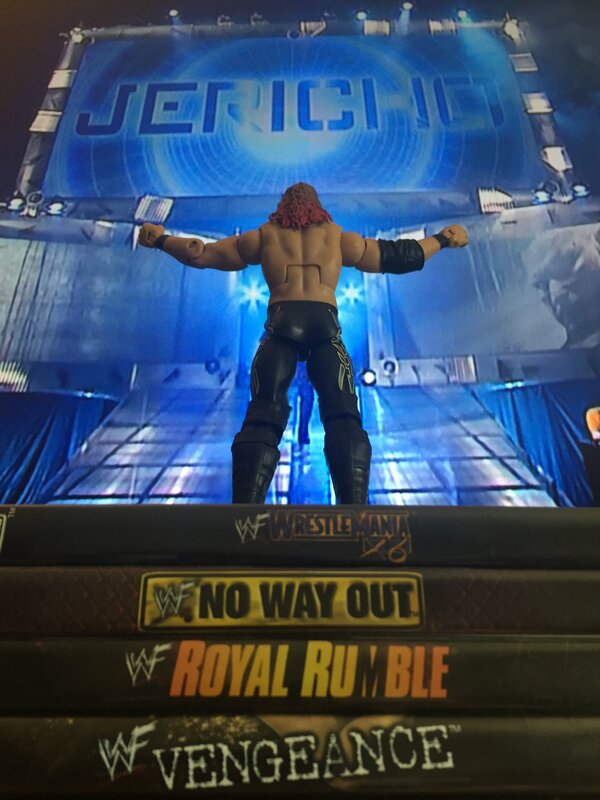 I also have the Defining Moments Jericho (technically, between my brother and myself, we have 2 because of some miscommunication on his end XD ). The store Five Below currently has a bunch of Elites in stock for only $5 each, and sometimes I buy dupes with the intent of trading. The Kingsmen welcome the 5th King. 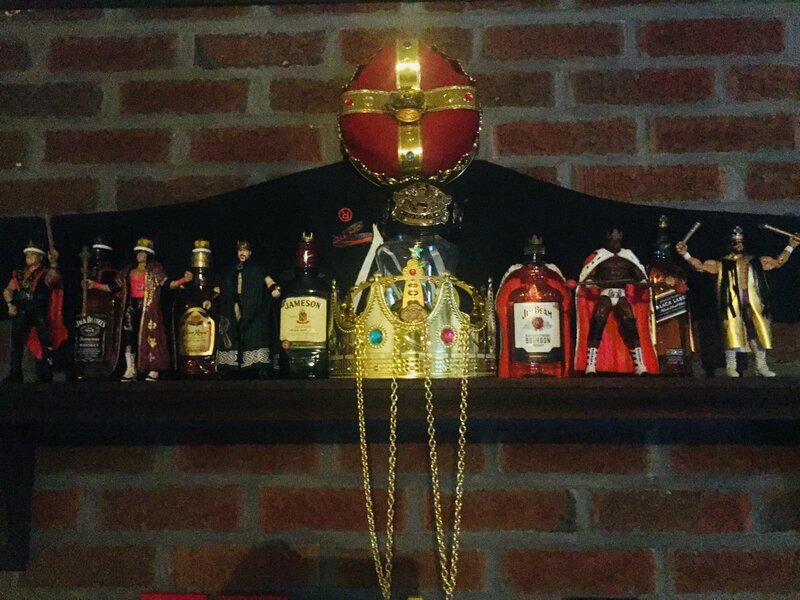 Tennessee, Canadian, and Irish Kings and whiskey. The perks of working for $imon & $chuster. , but placed on the wrong sides. The way Mattel stitched on the one side, it covers the painted in gold tip when snapped together. 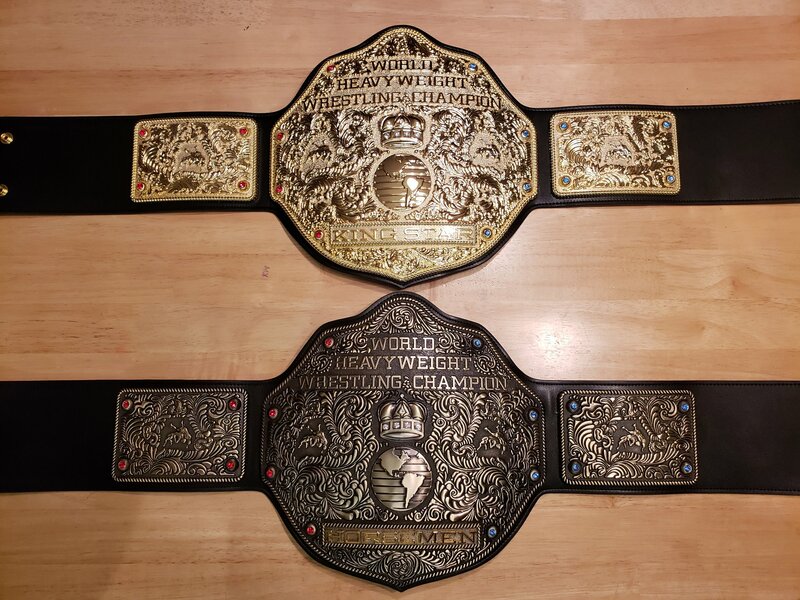 The newest acquisitions in my never ending Expedition of Gold, two Fandu Big Gold Belts. I couldn't decide which one I wanted, so I asked a few friends. 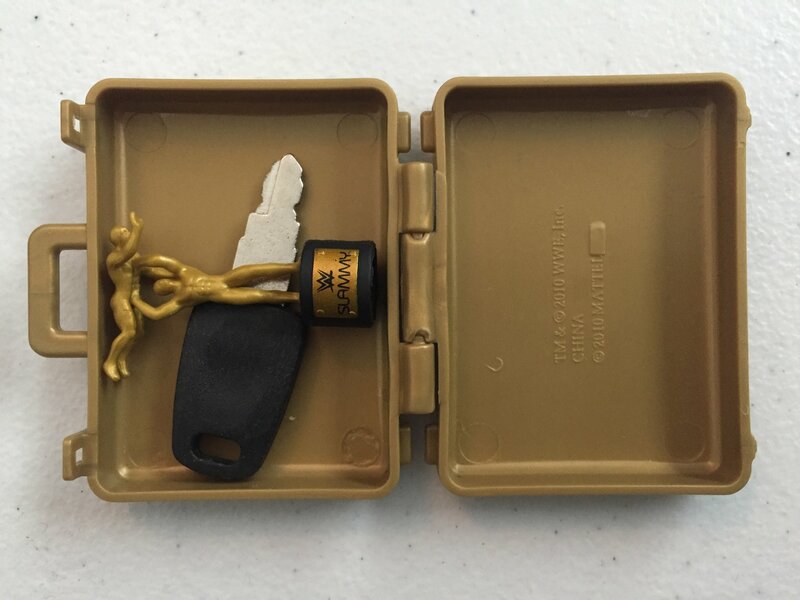 A couple of them said full Gold, a couple of them said antique Gold, and one asked, "why not get both!?" So I ordered the antique on Christmas Eve, and the full on Christmas Day. 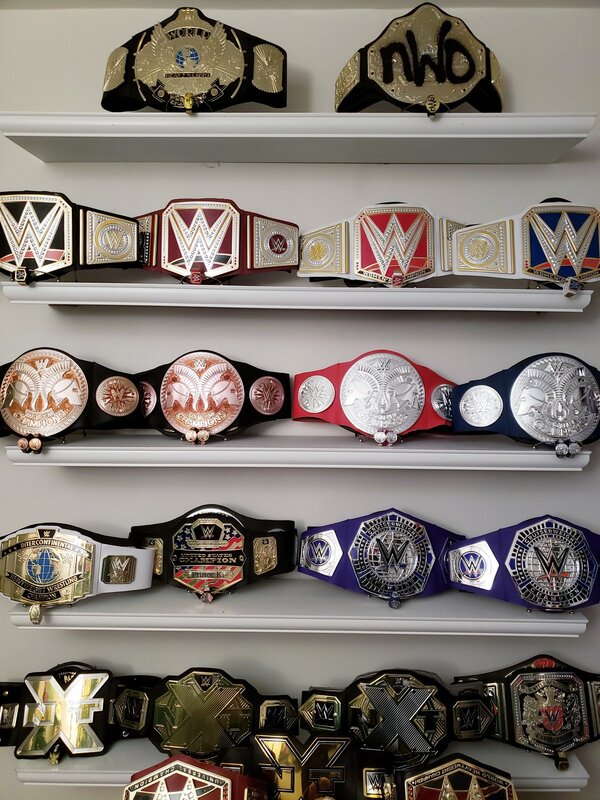 I won't get into details about the Championship Title Belts themselves, since everyone already has, but I will get into why I customized them the way I did. I couldn't decide which color gems I wanted on them. I knew I didn't want green or purple. 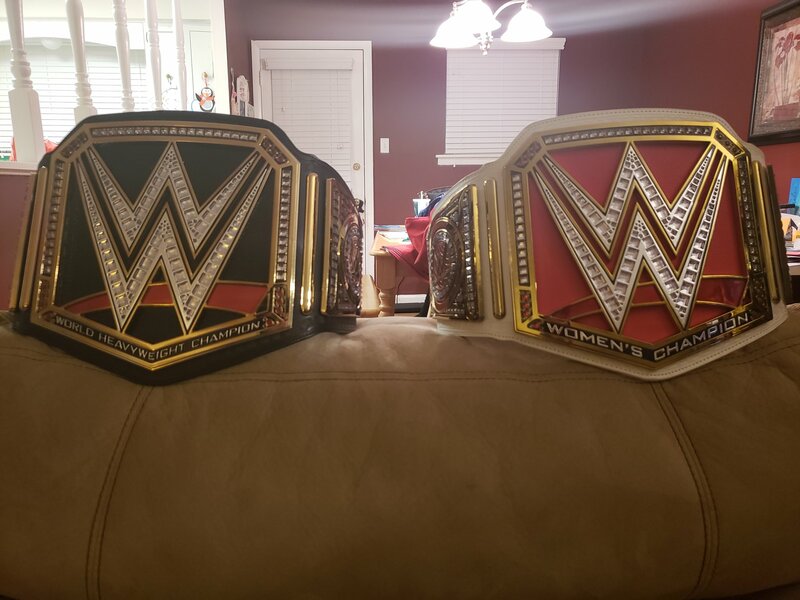 I decided to go with red on the left for Raw / Nitro and blue on the right for Smackdown / Thunder, with clear on Crown. 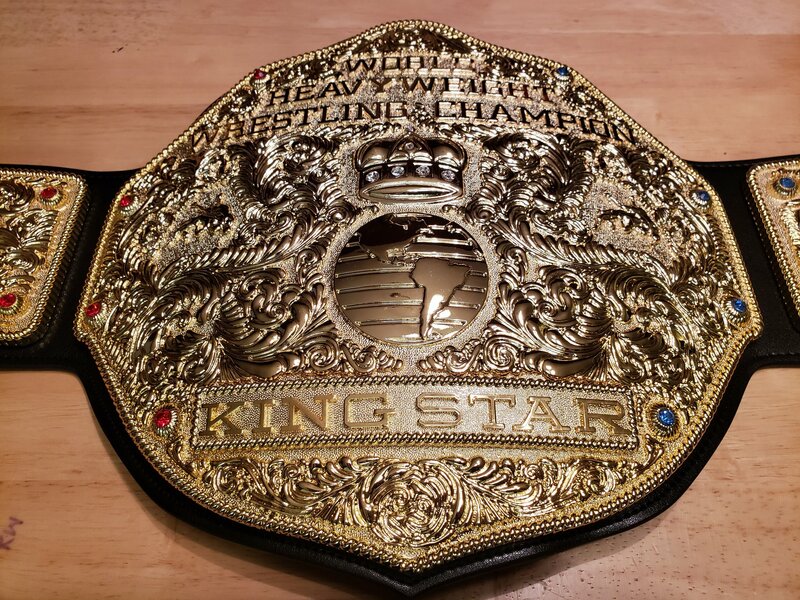 Now that I think about it, I could have gone with purple on the Crown for ECW, and of course, because red and blue make purple. 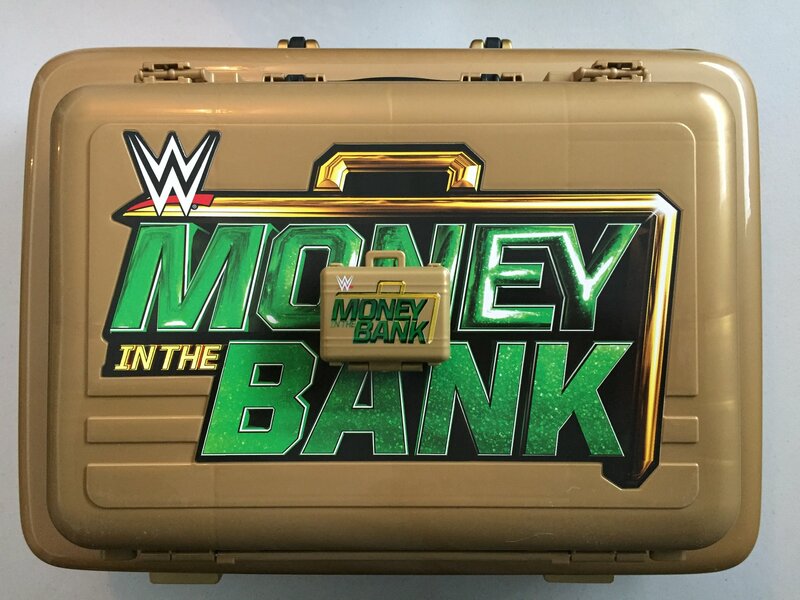 The Fandu full Gold Big Gold Belt. 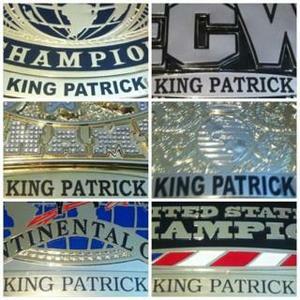 I wanted the nameplate to say "King Patrick Star", but since I can only have 8 letters, I went with "King Star". All of a sudden, I feel like I came from NXT, got called up to the main roster, and Vince just cut my actual name out of my character name. 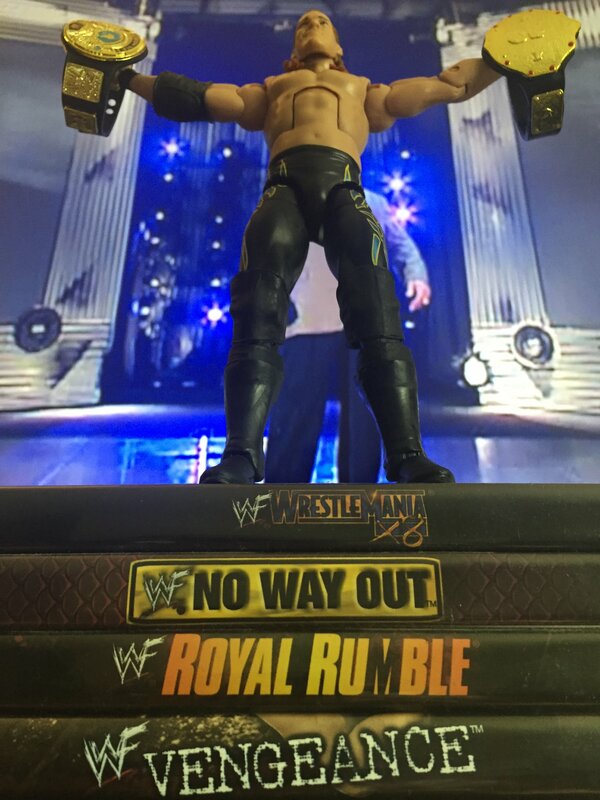 The Fandu antique Gold Big Gold Belt, or as I like to call it, the Big Bronze Belt. I went with "Horsemen" to commemorate my closest friends. 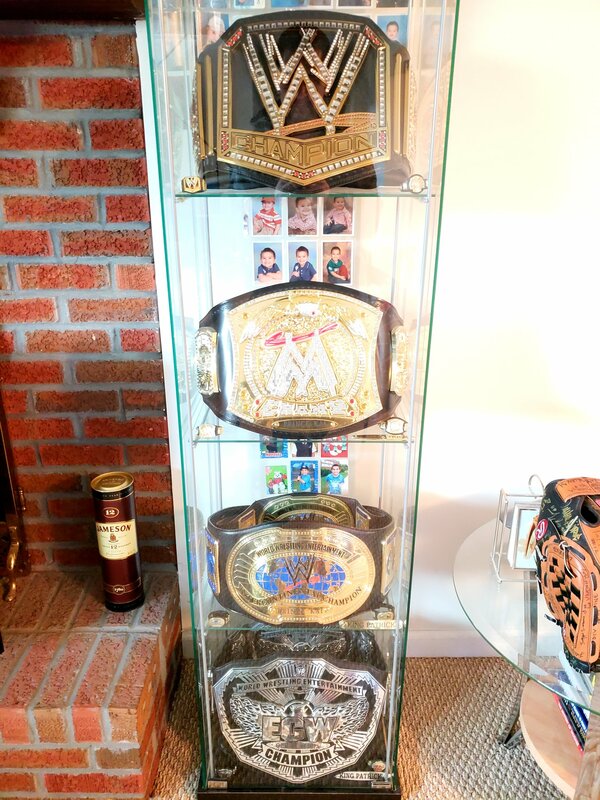 Without the Four Horsemen, Ric Flair would not have been the 16 (25, in my opinion) time World Champion. Without my Horsemen, I would not be the King of Stars and the Star of Kings that I am today. 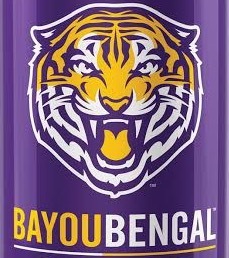 I almost ordered the full nickel version on the 26th (last day of sale), but held off. 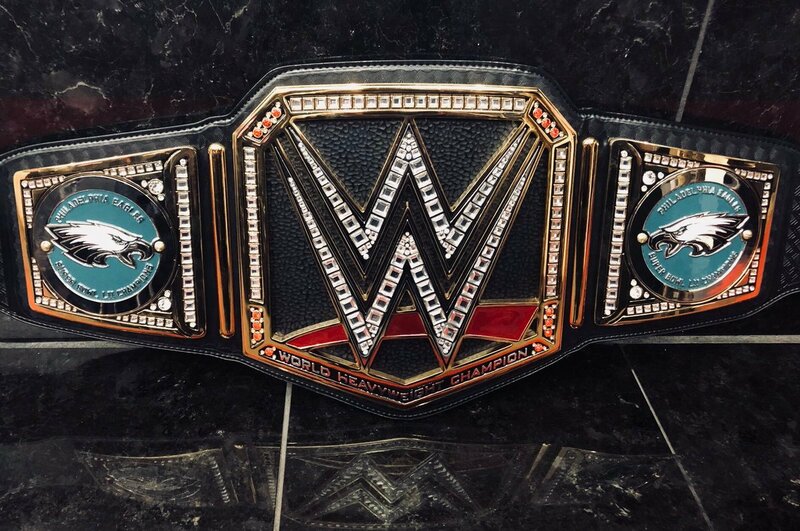 If they ever have a sale like the one they just had, I might get the Big Silver Belt, with green gems, and put "Eagles" on the nameplate. Go Birds!! ...or should I say, I have!! 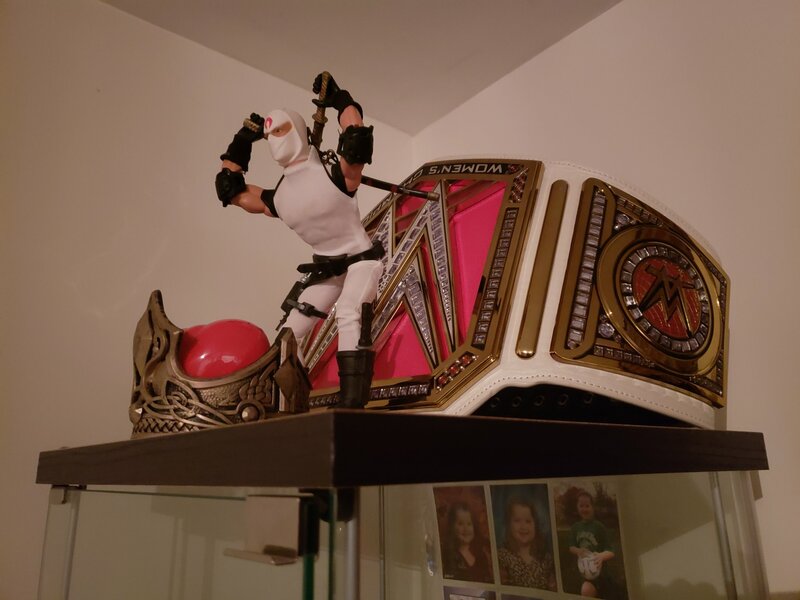 My Wall was getting crowded, and the way the Mattel versions are, they don't display well with their straps. 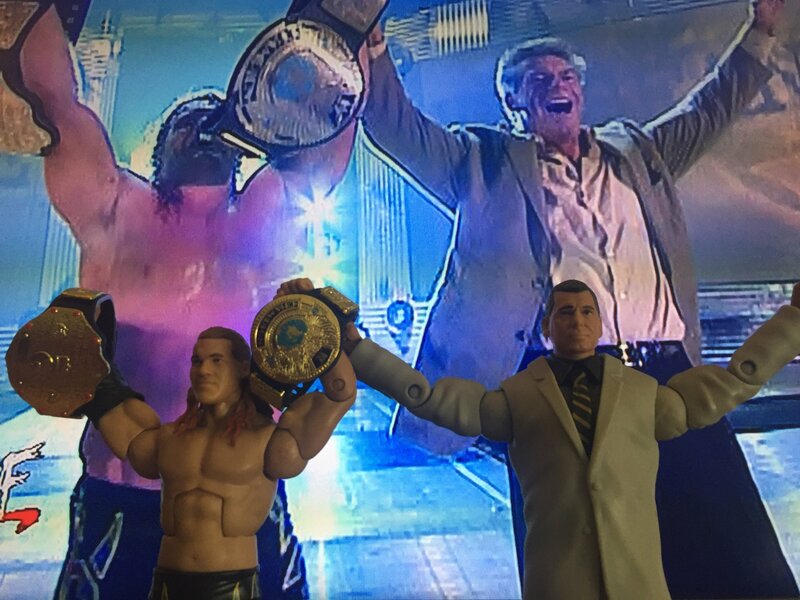 I decided to place the Jakks versions inside the Mattel versions. If there was an exact counterpart, I'd match them up. Otherwise, I used "suitable" replacements. 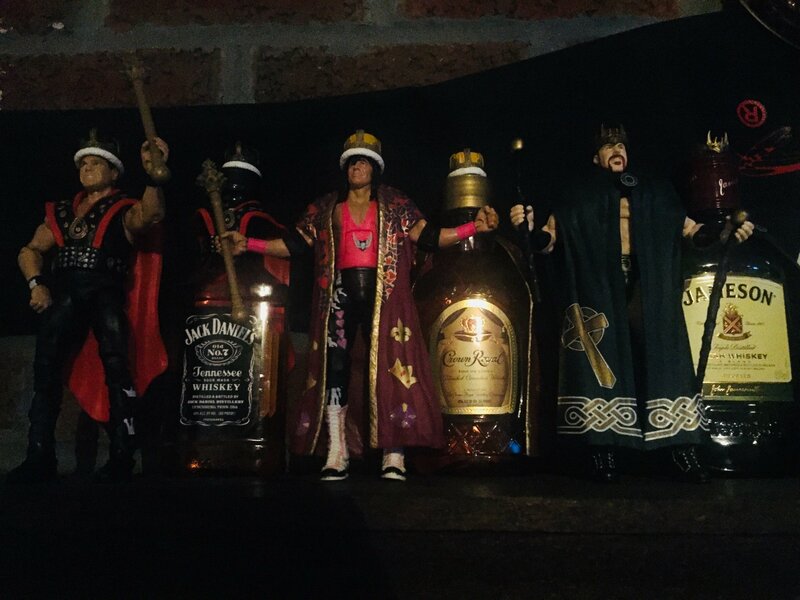 I removed the kids sized versions of the ones I have Commemorative versions of, and displayed them together in the Detolfs. I also put the figure sized versions in there. 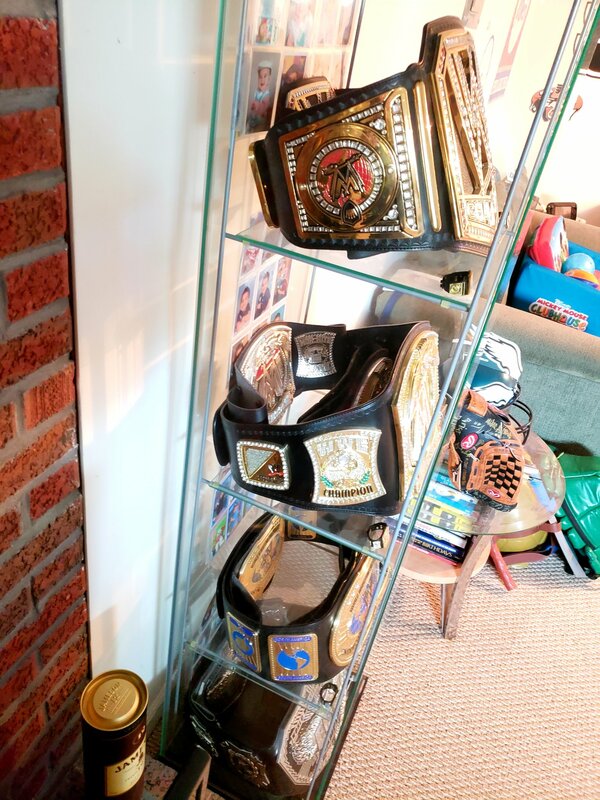 As you can or can't see, Jakks and Mattel didn't make versions of all 8 of my Commemorative Championship Title Belts. Again, I used "suitable" replacements for those that needed them. 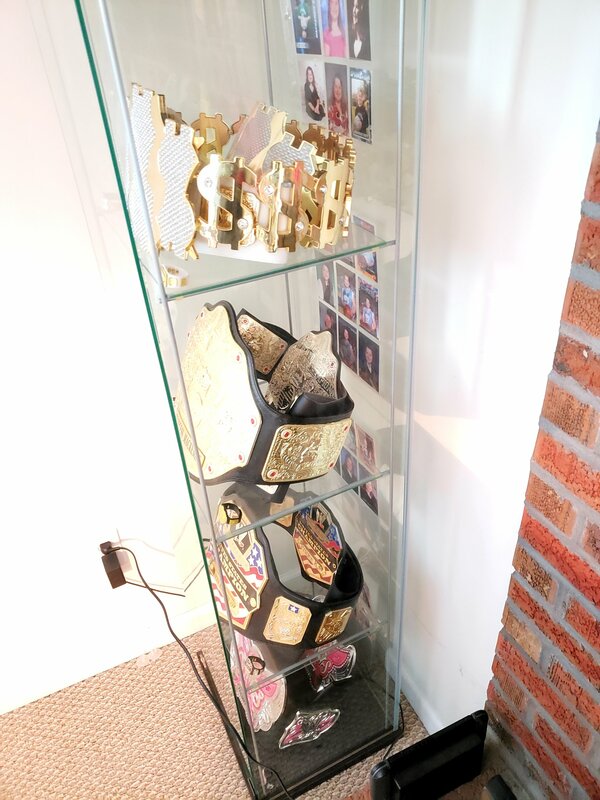 My "TrOphY's" favorite Championship Title Belt, and favorite Legend / SuperStar of all time. What exactly is he right now?? Super Legend Star! ?